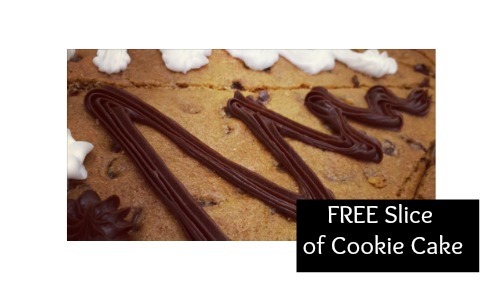 If you are a fan of Great American Cookies, get a FREE slice of cookie cake when you join their rewards program! Just head to their Facebook page and download their mobile app and start receiving great rewards from Great American Cookies. They offer coupons and you can even order while you’re on the go. My girls just love their cookies and a FREE cookie makes everybody happy.